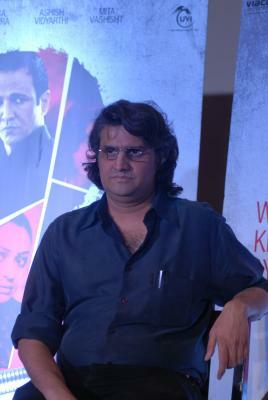 Mumbai, Oct 15 (IANS) While many are pleased with the courts verdict to acquit dentist couple Rajesh and Nupur Talwar over their daughters murder, filmmaker Manish Gupta, who made a film “Rahasya” inspired by the crime, feels there are many unanswered questions. “In my view, till the Supreme Court passes a judgement, the case will remain open to debate. There is still ambiguity surrounding the case. It has not been proven as to who the actual murderer or murderers are. The servants have not been proven guilty,” said Gupta. The Allahabad High Court on Thursday acquitted the couple in the murder of their teenage daughter. They will be released from Dasna jail in Ghaziabad on Monday. “The defence has been putting forward the narco analysis test of Krishna, the compounder, but a narco analysis test is not considered conclusive or irrefutable evidence in court,” he said. Aarushi, 14, and domestic help Hemraj were found murdered on May 16-17, 2008 in the Talwars’ Jalvayu Vihar house in Noida. “Also, there have been two murders, not one. There are so many people involved. The exact truth and exact sequence of events is not yet clear,” said the filmmaker. In fact, Gupta’s film had been legally stopped by the Talwars from release in 2015. Gupta and his producers Viacom18 Motion Pictures had to go through a long legal process and add a disclaimer that “Rahasya” was not about the Talwar murder case.